You guys. I am ALL about the athleisure trend. Since I have only had to “dress up” a handful of times over the past few years, I am fully embracing the fact that I can leave the house in leggings and runners and look like I still have my sh*t together. Thanks to some drool worthy Instagram accounts like Stylerunner, it has become easy to toss the heels aside and opt for a more relaxed day to day look. Never have my feet been happier. 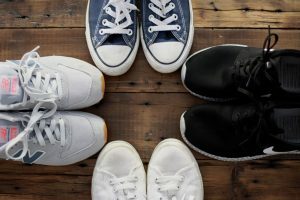 Although there are about 100 different ‘lifestyle sneakers’ on my lust list, I’ve rounded up my favourite five pairs in my current footwear rotation. Move over, grandpa. These classic kicks are everything. I am a particular fan of those with a neutral base colour like grey, with some fun colours mixed in. They pretty much go with everything. These have been my 2015 go-tos. They have a classic yet fresh look to them, and are incredibly comfortable. They aren’t really built for working out, though. The elongated dorsal surface gives it a more streamlined and tidied look, so you can still wear them without looking like you’re headed to the gym. They come in are a ton of different prints and designs, but once again, I have a preference for those with neutral colours and patterns. Chuck Taylors were the original basketball shoe, so naturally they count as athleisure wear. I did a post two years ago when I finally got around to buying my first pair. I’ve since acquired some in navy. They are classic, simple, and go with everything. I bought a white pair of these Italian kicks from Aritzia about 4 or 5 years ago, and I still wear them! They were packed away in a box while we were in Australia, so I actually forgot about them for a bit. I’m so glad to have found them again! They are ridiculously comfortable. 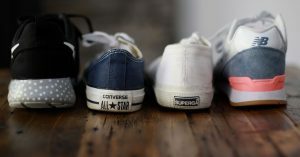 Like Converse, they pretty much go with anything in your wardrobe. 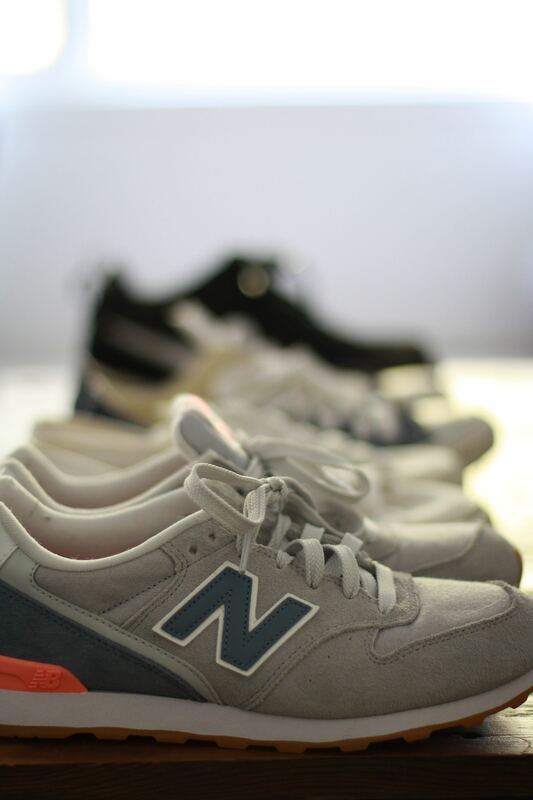 These classics round out my current lifestyle sneaker obsession. Now, I do not actually own a pair of these (yet), but I used to! 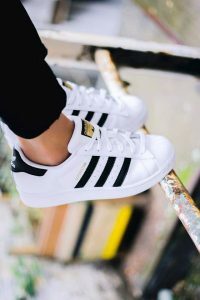 In high school, my soccer team travelled from the Maritimes to Edmonton for the Canadian Nationals, and I think between the 18 of us, we bought out the entire Adidas Superstar inventory at West Edmonton Mall! Who knew I would love them just as much 15 years later. The list could go on, but I can’t quite comment on any others until they magically find their way into my closet! I have a feeling I will be embracing this athleisure trend for waaay longer than I should, and plan to milk it for as long as humanly possible. Who knows. Maybe it’s here to stay. I can just hear it now. “Ugh! Mom! Pull yourself together and put some heels on. Those are so 2015!” Until then, long live comfort. Would love to hear your feelings on this trend and which shoes you are loving lately!